The Red Paddle Co 11’3 Sport inflatable paddleboard first introduced in 2017 is back for 2019. This SUP inflatable is often one of the first boards people look at after having paddled a ‘All-Rounder’ like the Red Paddle Co 10’6 Ride. It’s tapered shape and longer waterline length are part of a more focused ‘straight-line’ design than typical ‘oval’ shapes found on an All-Rounder such as the Red Paddle Co Ride range. For Stand Up Paddleboarders who want a more efficient board that rewards with a greater return in terms of the glide for the effort you put in. A combination of this longer waterline length and the single 9″ FCS Touring fin mounted in a US fin box result in an overall improvement to tracking – however, the trade off is in maneuverability, which is reduced proportionately due to the longer length of the board. In this Boardroom Review we look over the unique features of the Red Paddle Co 11’3 Sport inflatable SUP, what makes it the perfect step up from the Red Paddle Co 10’6 Ride, especially for paddlers weighing up to 115kg who are wanting to travel distance with greater ease. 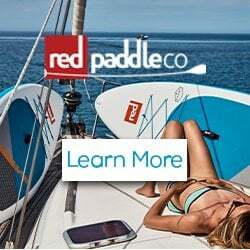 Red Paddle Co started in 2008 just as paddleboarding was getting going and has firmly established themselves as both leaders and innovators in the rapidly growing sport of Stand Up Paddleboarding. The founders of Red Paddle Co had an idea that it could be made better with inflatable paddleboards. But, and it is a big but, they had to perform. Many questioned if you could make the inflatable boards stiff enough to get the kind of performance you’d expect from a hard board but Red Paddle Co persevered and over time dispelled the doubts, and since then those people have come around. Red Paddle Co’s reputation has been built on their mantra of an inflatable paddle board shouldn’t be a compromise, wanting only to make inflatable paddleboards that deliver an authentic paddleboarding experience and one as close to the performance of a hard board as possible. Red Paddle Co’s range of inflatable SUP now range from the surf focused ‘Whip’ at 8’10 to a 22’0 monster known simply as the ‘Dragon’ – a four person race board. The core of their range is the ‘Ride’ group, a family of paddleboards featuring the classic oval, All-Rounder design – the jack of all trades of the Red Paddle Co family – intended to provide their riders with stability, without sacrificing maneuverability. However, there will come a time when an All-Rounder type board design isn’t going to cut the mustard – particularly when paddlers are looking for greater returns in the form of forward motion to the effort they’re putting in; we call this ‘glide’. This is where the Red Paddle Co 11’3 Sport comes in – first introduced in 2017, this SUP inflatable proved to be a runaway success and quickly sold out in it’s first year. Back again for 2019, the 11’3 Sport has been updated inline with the rest of the Red Paddle Co Sport range. Here we give you and overview of the 2019 Red Paddle Co 11’3 Sport. As we’ve already addressed, the Red Paddle Co 11’3 Sport is longer than a conventional all-rounder design paddleboard – this is the chief reason for its improved glide. Its tapered nose and proportionally narrower width produces greater glide and tracking, letting you move forwards, faster and with greater ease. The trade-off is in manoeuvrability, as longer boards are much harder to turn, particularly in a neutral paddling stance. Clocking in at 32”; it is worth noting that it is the widest board in the Sport family (11’0 and 12’6 Sports both clock in at 30”). To be honest, when the 11’3 Sport was first introduced to the line-up, we struggled to see its relevance – however, having now paddled the board, we now see that the extra volume from the increased width contribute to the glide, as well as providing a more stable platform. The result is an inflatable stand up paddleboard with great versatility. 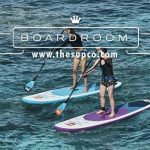 The higher volume of the board is great for larger riders too – a few of us at the SUP Company around the 100kg mark have remarked on its glide ability compared to the 11’0 Sport, which feels too ‘sticky’ for a rider of that weight. We would recommend that people around 90kg or lower opt for the Red Paddle Co 11’0 Sport instead, as they will find it more manageable. If you’re a rider over 110kg, we would suggest you look at the 12’6 Sport, as that provides a rider weight capacity of up to 150kg. Its width of 32”, which it shares with Red Paddle Co bestseller, the 10’6 Ride, means they are comparable in stability. This means it is just as accessible to newcomers and those looking to take a step up from an all-rounder board design. This stability is further enhanced by the square tail of the Red Paddle Co 11’3 Sport – this square shape allows the board to sit more evenly on flat water. This is boosted by the diamond deck-pad towards the tail, offering you increased stability as you perform step-back pivot turns. The Red Paddle Co 11’3 Sport is further stabilised by the single US fin box with removable FCS SUP Series Touring 9″ Fin. The FCS SUP Series Touring 9″ Fin provides a deeper keel – more surface area to lock into the water, contributing massively to the board’s stability, even in choppy water. The FCS SUP Series Touring 9″ Fin also leads to an improvement to the board’s tracking, brought about by the fin’s longer leading edge and wider base. The sad thing is, those with pre-2017 Sport models cannot take advantage of this fin as the fin boxes are shorter – however, the longer fin box of on recent models and the resultant longer-based fin means the tracking is even better. Although it has many features geared towards improved tracking and forwards movement, the Red Paddle Co 11’3 Sport remains a much more versatile board than other ‘touring’ boards – it retains the 11 Sport’s rail thickness of 4.75”, ensuring that it plays reasonably well in small surf. Yet, despite its thin rails, it remains an incredibly rigid board due to Red Paddle Co’s patented RSS Batten System, stiffening the board by 35%. As such, the 11’3 Sport definitely lives up to Red Paddle Co’s mission statement – to deliver an authentic paddleboarding experience. However, we find the RSS Battens to be a bit of a faff to fit every time you inflate your paddleboard – there is a little bit of an art when inserting them. Once mastered though, they are easier than first thought and the added rigidity is noticeable. That said, the board is perfectly usable without the battens, you just won’t be getting everything the 11’3 Sport has to offer. The 2018 RSS Batten’s have also been given a bit of attention over previous years models, as the string loop used to remove the battens has been replaced with a flat webbing and Red Paddle Co logo velcro fasten which clean’s up the whole rail and gives a real neat finish. Just goes to show the level of design detail and refinement Red Paddle Co put into their boards. 2016 saw the entire Red Paddle Co range go on a diet, yet not at the cost of them becoming any less a paddle board. Thanks to huge innovation in the materials used, the boards have become substantially leaner. Called Mono Structural Laminate or MSL for short, Red Paddle Co have implemented this novel way of manufacturing across all of their inflatable paddleboards. They started from scratch and questioned why the material was produced the way it was. Over a period of 2 years and a significant testing programme, the MSL process was refined until it was deemed right for production. So what is MSL? Well the whole MSL process is done at the raw material stage by carefully calibrated machinery developed specifically for this process. The result is a consistent and high level of cosmetic finish that has all the durability and strength properties of Red Paddle Co’s previous double layer construction. And because this process is done at the raw material stage these boards now benefit from torsion stiffness as the material is put under tension when the paddleboard is inflated. The result is an on average a 2kg lighter and more rigid inflatable paddleboard. 2016 Red Paddle Co paddleboards also roll up smaller – making packing down and get them into the wheeled backpack bag even easier. 2018 has seen the ingenious MSL construction process carried continued in the Red Paddle Co range, maintaining the excellent finish, lightweight design yet incredible rigidity underfoot. We often find ourselves having to explain to people that they really are inflatable – the technology is that good. There have been several small changes to the Red Paddle Co range in 2017 – the graphics have been tweaked, creating a fresh feel for the year. In addition to this, the D rings for the bungees have been improved, meaning items stored in the bungees are more secure and the bungees themselves are less likely to break. However, the big change comes in the form of Red Paddle Co’s new-found partnership with RAM Mounts, the world-leading accessory bracket manufacturer, and have added a special screw thread to all their inflatable stand up paddle boards. This thread housing is compatible with RAM Mounts products, enabling you to now securely attach a range of accessories, from GPS devices and action sport cameras to fishing rods. The fantastic thing about the RAM Mounts system is its flexibility, the foundation of which is the 1” Tough Ball (RAP-B379U-M81208) and the 1.5” Tough Ball (RAP-379U-M812510). These highly durable ball sockets are compatible with a wide range of RAM Mounts products, allowing you to mount your equipment safely and securely. The versatility and range of RAM products that are compatible with Red Paddle Co inflatables really is incredible – you can find more information about the RAM products here. The pump which comes with all Red Paddle Co paddle boards (except ‘The Whip’ 8’10 – comes with the single cylinder HP Pump) is called ‘The Titan‘. And it certainly lives up to its name. Initially, inflatable SUP’s came with high volume pumps from a Kiteboarding background and while they inflated the boards quickly, you could never get the all-important high pressures. So, brands started to include smaller high pressure pumps. While you could now get to the pressures required, it took ages to get their because you didn’t have the same large volume of air blasting into the board. 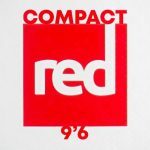 So, Red Paddle Co had a light bulb moment, what if you combined both! Although they look simple on the outside, there is some clever patented stuff happening on the inside. The result is you use both cylinders to get the volume into the board. Because you are using two cylinders, it is lot quicker than any other pump. Once you can’t get any more air in, normally around 8-12PSI (depending on the person doing the work), you remove a simple toggle from the back of the handle and just use the high-pressure cylinder all the way up to the desired pressure of 18 – 20PSI as shown on the fitted gauge. It is also worth noting that the Titan is not a double action pump, it only has a single action ie: it works just on the down stroke. This however is not a mistake on Red Paddle Co’s part, nor is it a bad a thing as it means you can use the largest muscles in your body and use your body weight to inflatable your board faster and easier. While a double action pump requires you to exert the same force with smallest muscles in your body on the upward stroke. 2018 has brought with it several changes to the Red Paddle Co Titan pump, chief among which are the changes to the pump fittings, which are now more universal and compatible with a wider range of valves (such as kitesurfing, large inflatables and more). The pump gauge has also been modified to display the appropriate pressures for different sports, making it easier to find new uses for your inflatable SUP, allowing you to get the very best out it. In addition to this, the information stickers down the side have been presented in a clearer format, giving you information on the technique used, minimising the risk of injury. It also now comes with a kite leash, to help keep your kite from flying off whilst inflating it – conveniently this also doubles up as a strap for the handle! The Red Paddle Co Titan pump is excellent. If we were being picky, the only downside is its size. Because of this pumps very nature, two side by side cylinders, it was always going to be a big pump. However, the bag easily accommodates both the pump, board, paddle and leash so it is far from the end of the world. It is also worth noting that the Red Paddle Co Titan also only works on the down stroke, it is not a dual action pump. This is because on pumping an upstroke you use your smaller muscle groups, namely your triceps at the back of your upper arms, and due to the large volumes of air you simply won’t manage it. The Red Paddle Co bag system is one of our favourite inflatable SUP bags. Often, we get asked if the boards go back in the bag they came out of and with Red Paddle Co we can confidently say they do. In fact, the same bag serves their entire range of paddle boards, right up to the 14ft race boards, so it easily swallows the 11’3 Sport, pump, paddle and leash. On the bag, full length zips make getting the board in and out a breeze. For some brands zips are of little or no consideration but Red Paddle Co show their attention to detail here, as rather than a run of the mill chunky zip, they decided to use a ‘rolled zipper’ because it is harder wearing and not going to seize or become useless if you lose one of the ‘teeth’. This attention to detail is shown throughout the bag as it is exceptionally well put together and made from a hard-wearing nylon fabric. Getting about with a loaded Red Paddle Co bag is a simple affair. The bags have robust wheels with quality bearings which run easily. Once you make it to the beach or are heading off the beaten path, you have the option of converting it into a back pack. The back-pack straps are wide and well padded, which makes carrying what is a relatively big package, really quite comfortable. The adjustable waist band also provides a good level of extra support. As a package, we often holiday with ours and find they breeze through airports and come out the other end in one piece (just make sure you stick a couple of jumpers or towels around the paddle section to give them that extra bit of protection). The only downside with the bag is that it is not waterproof and not really suited to sitting on the deck of your board when paddling, but to be honest this is a price worth paying given how good it is – after all it is meant to carry your board, not sit on the deck! The 2019 edition of the Red Paddle Co bag comes with several innovative changes to heighten its usefulness. The bag is now lined with foil, affording it better protection from the heat. It also now comes with an extra pocket which can be used to store detachable fins, and stretchy straps which can be used to secure your paddle within the bag. In short, the Red Paddle Co bag continues being an indispensable tool for inflatable SUP transportation! The Red Paddle Co leash is of good quality. The SUP Company supply the Red Paddle Co 11’3 Sport with a coiled leash as standard. This is often the preferred option for many as a coiled leash has the benefit of staying on the paddle board and not dragging along in the water, collecting weed, twigs and so on. 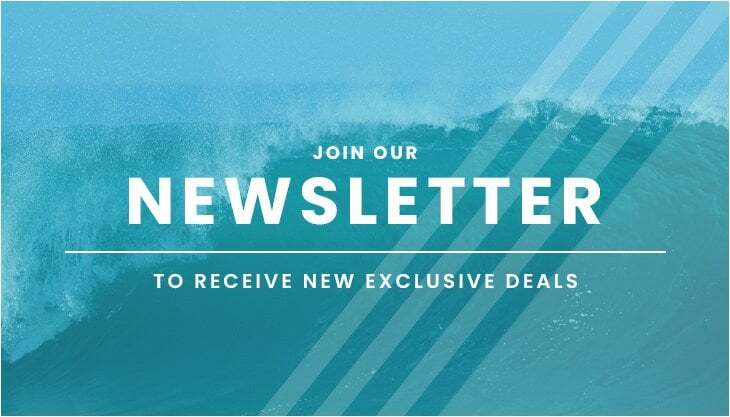 If however you plan to spend more time in the surf, then we would recommend either asking for leash to be swapped to a straight line surf leash or add one to your order. As we say in all our reviews – please remember that a leash is an essential piece of equipment and never an option. Without it attached securely to the paddler and their board, if and when you part company with your board, you will lose your board. So please fit your leash correctly and use it each time you paddle. We often get asked what is the orange tub we have seen in some images? Well it is a waterproof plastic container which containers a small repair kit (some patches and glue – glorified cycle puncture repair kit) – not that we have known anyone need it. As well as a valve spanner for the inflation valve should you ever need to remove it and give it a clean to ensure a good seal. Also included is a waterproof case for a phone, and instructions in the bag’s internal pocket for your Red Paddle Co paddle board. Well then, there you have it. 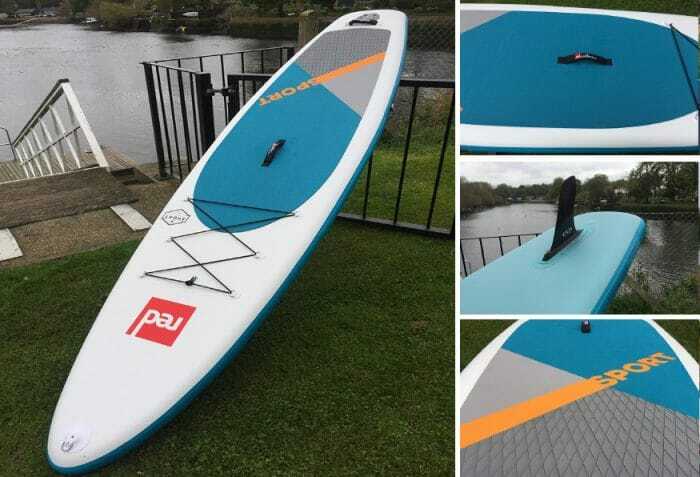 The Red Paddle Co 11’3 Sport is an excellent ‘level-up’ from the Ride 10’6, its longer shape and tapered nose creating far superior gliding and tracking capability. It achieves this without sacrificing much manoeuvrability, making it the perfect next-step for an aspiring SUP rider – particularly those up to 110kg. Red Paddle Co continue to employ MSL in their construction, producing lightweight inflatables with impeccable rigidity. 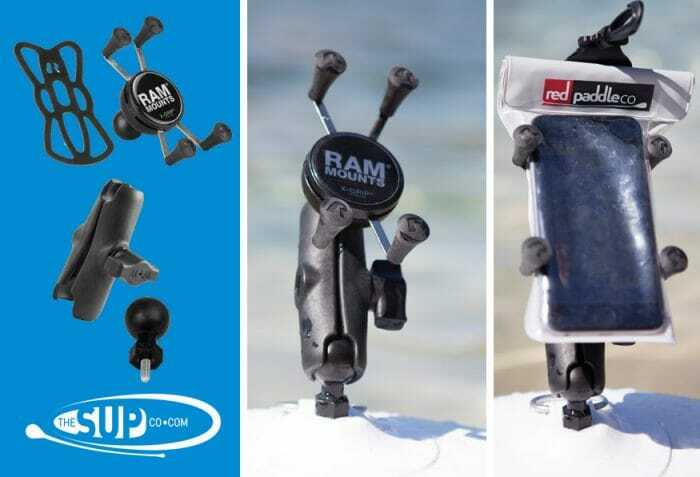 The addition of RAM Mounts however is huge, opening a whole world of possibilities for you and your Red Paddle Co inflatable, allowing you to mount anything from your phone to your fishing rod. For SUP riders who want a more specialised board, but without losing too much of the versatility and stability afforded by a wider all-round design, the Red Paddle Co 11’3 Sport is the board for you.Red Paddle Co continue to amaze and astound into 2019. 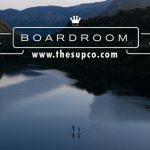 Be sure to check out future Boardroom Reviews to discover the rest of the Red Paddle Co range and other great SUP products! To test the Red Paddle Co 11’3 Sport and other stand up paddleboards, visit the Red Paddle Co Test Centre here, or drop in and visit our shop.